Although many of the jobs posted on Idealist cover broad functions like education, administration, or fundraising, there are plenty of specialized careers available in the nonprofit sector. Let’s take a look at jobs that require experience with photography! Combine your practical photography skills with managerial experience as a Marketing Coordinator for the Animal Rescue League of Boston. You’ll also get a chance to help out homeless animals. There are plenty of jobs that involve photography in New York City. Get your feet wet in this entry-level Communications Associate position with the Children’s Health Fund, or work with photography databases as a Multimedia Archivist with the Alliance for Downtown New York. Stick in New York and put your degree in Graphic Design to use with this job posted by the French Institute Alliance Française. You’ll also need to be fluent in French and have a good knowledge of Francophone culture. If you’re interested in coordinating photography and videography for large events, you should look into this Digital Communications Specialist position with the U.S.-Japan Council in Washington, DC. 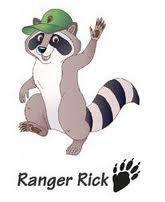 Remember Ranger Rick? If you’ve got the right experience, you can serve as the Art Director at the National Wildlife Federation Headquarters and have the final say on what photographs are included in the Ranger Rick magazine. Head north to Chicago and serve as the Graphics and Media Coordinator with the Chicago Children’s Choir. You’ll be responsible for both taking pictures and for organizing them. Work as a photo editor and serve as a liaison for photojournalists with this job from the organization Faith in Practice in Houston. Make sure you have a portfolio with photos as well as videos for this Multimedia Design Coordinator position in Portland, Oregon. If you have a little less experience, try out this job just outside the Portland area with Medical Teams International. You can maintain a digital photo library as a Database and Social Media Associate with the Episcopal Community Services of San Francisco, or head south and capture photos at events with the Braille Institute of America in Los Angeles. Whether photography is a hobby you’d like to turn into full-time work or you’ve already got an advanced degree, Idealist has plenty of jobs for you to check out. Good luck!